The Erhu is made of wood and snakeskin. There are quite a number of things that can go wrong if you are not careful with your instrument. 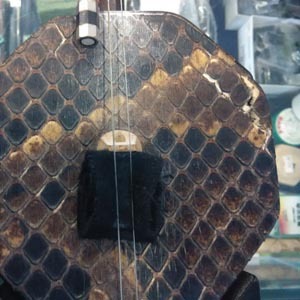 Whilst some issues you can resolve it on your own (or should learn how to resolve it on your own), others you will probably need professional help for your Erhu repairs. You drop your erhu and the head/ neck breaks. Whatever you do, do not stick it back with superglue. Bring it to us and we can attach it back with hardly a trace of its broken past. The snakeskin is the soul of the Erhu. You will find that the tone changes drastically once the skin sags or is broken. You can send it in to us for it to be reskinned. But we recommend doing that only If that Erhu is of high value or has sentimental value. 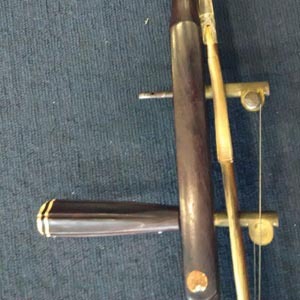 There are 2 types of Erhu tuners: friction wooden pegs and bronze tuners. We can definitely fix a broken wooden peg. 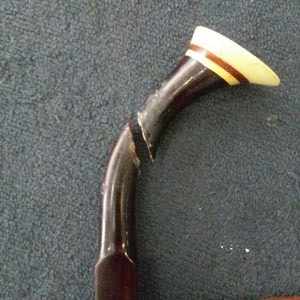 A faulty bronze tuner peg though will depend on the extent of damage. General maintenance of strings, bows and qianjin can be done by you. Just buy the accessories from our erhu accessories online store (or walk into our shop) and change it yourself. If for some reason you are not able to do it, feel free to bring it to us and we will do it for a small fee. Need a Erhu repair quote? Whatsapp your broken erhu picture to 9754-3879!